We are a dynamic Calgary based real estate team committed to taking your real estate experience to the next level. We work with buyers and sellers in all ranges, from first-time buyers buying their first apartment condo, mid-range buyers and of course the upper-end luxury market. 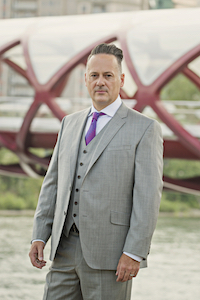 We have a straightforward and candid approach to Calgary real estate and pride our team on providing honest advice with the highest level of customer service available in the industry. We leverage the latest hardware and software to stay ultra mobile and run a paperless office. It's a modern approach to traditional real estate that offers great rewards to all of our clients. When it comes to real estate, a mobile office and REALTOR® 's with the tech skills to communicate on the go is definitely a must in today's fast-paced real estate market. Being accessible to answer questions and provide updates is something that many buyers and sellers value and expect from their Calgary Real Estate Professional and REALTOR®. Our team utilizes social media to stay connected to each other, colleagues and clients - social media allows us to keep ahead of current market trends and industry news. Reaching our team will always be easy because we are always connected and respond quickly by email, text or through social media. Tost Realty Group aligns themselves with RE/MAX Realty Professionals - one of Calgary's top performing brokerages. Tost Realty Group has been awarded the Titan Club Team award for 2016 and 2017 as well as been in the Top 100 teams in Western Canada. We are not a large team - but we are packing a punch in the Calgary real estate market. Crystal started her Calgary real estate career in 1997 and since then has seen almost every turn and market in Calgary real estate. After 15 years in the business, Crystal began to build Tost Realty Group with her husband and business partner Tyler Tost. Now with over 20 years of experience Crystal is one of the most experienced real estate agents in the Calgary area. She still sells real estate as it is a passion, but she also enjoys training and leading Tost Realty Group to success. 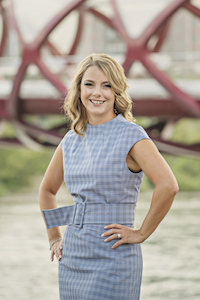 Crystal has an intimate knowledge of Calgary and it's communities making her an invaluable person to work within handling your real estate needs. Whether you are looking to relocate to Calgary, upgrade your existing home or buy your first home or condo, Crystal can help you effectively reach your Calgary real estate goals. Crystal has expert knowledge of the Calgary real estate market. Some of her traits are responsive communication, great customer service, honest and fast optimal results for both home buyers and sellers. She is tech savvy being able to conduct business anywhere and make the real estate process easy and as stress-free as possible for her clients. Crystal has achieved many awards along the way of her real estate career. In 2014 she received the RE/MAX Diamond Award which is the highest level RE/MAX award. She also accomplished the prestigious Top 100 Award Worldwide within RE/MAX Network out of over 95,000 agents. She has a proven track record and a long list of clients with amazing reviews to back it up. Tyler Tost has been in the real estate industry for over 16 years. Tyler started in real estate as a mortgage broker in 2000 and continues to run and manage Conexia Mortgage today. In 2013 Tyler followed his passion for real estate and licensed as a real estate agent. One of Calgary's top 20 buyers agents - Tyler always strides for the best when it comes to his clients and maintains a high level of customer service with his clients. Tyler manages Tost Realty Group with Crystal and handles the behind the scenes day to day operations of the business as well as coaching and managing the team. Born and raised in Calgary, with 20+ years of exceptional customer service. Takes pride in being part of the Tost Realty team, supporting them in all their real estate business needs. Assists in the delivery of excellence in every aspect of the needs of the clients we serve. This drive and passion for helping people can be seen by her attention to detail along with never give up attitude. Nicole is here to answer your questions, assist you in achieving your real estate goals while ensuring your real estate experience with Tost Realty is the best one yet! 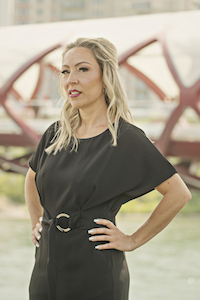 Chantelle was born and raised in Calgary, Alberta and was surrounded by real estate her entire life as a family business. Starting her career as administration support for Remax back in 2006, she had a opportunity to view the business from another perspective. She quickly knew this industry was for. Chantelle continued her career in Real Estate law and Corporate and Acquisition law in Vancouver and Calgary before her eventual return to real estate. She became licensed as a Commercial Realtor focusing on downtown office leasing, moving into industrial leasing and land sales. During which time she completed her residential real estate license in 2017 and has been in awe of the love she has for the residential market ever since. As she has been in the real estate industry in some facet for over 14 years, whether in real estate law, commercial real estate or residential real estate, she is extremely passionate about her industry and client satisfaction. Chantelle prides herself by providing outstanding service, attention to detail, exceptional market knowledge and complete confidence to her Clients in their real estate transactions. Our Clients Love us, and it shows!